Eugene Coleman Thach, 87, former supervisor in DeSoto County for years, died April 25, 2017 in Forrest General Hospital in Hattiesburg, MS. He was the son of McBride Thach and Susie Coleman Thach. He leaves his wife of 62 years, Lena Keeton Thach of Hattiesburg; a son, Eugene Thach, Jr.; daughter-in-law, Jackie Thach of Petal; and a daughter, Beverlee Thach Belding of Madison. He also leaves four grandchildren, David Brunt IV, Alexandra Brunt Herrera, Keeton Thach and Hill Belding. He had six sisters and three brothers (of those the deceased are Carl Thach, Dale Carsley, Frank Thach, Lee Mister, Mary Francis Tippet Winters, and Pearl Flannagin). Surviving sisters are Peggy Harwood and Jo Harris. He lived in DeSoto County for 55 years, serving his community as an alderman in Southaven and a DeSoto County Supervisor for 20 years. 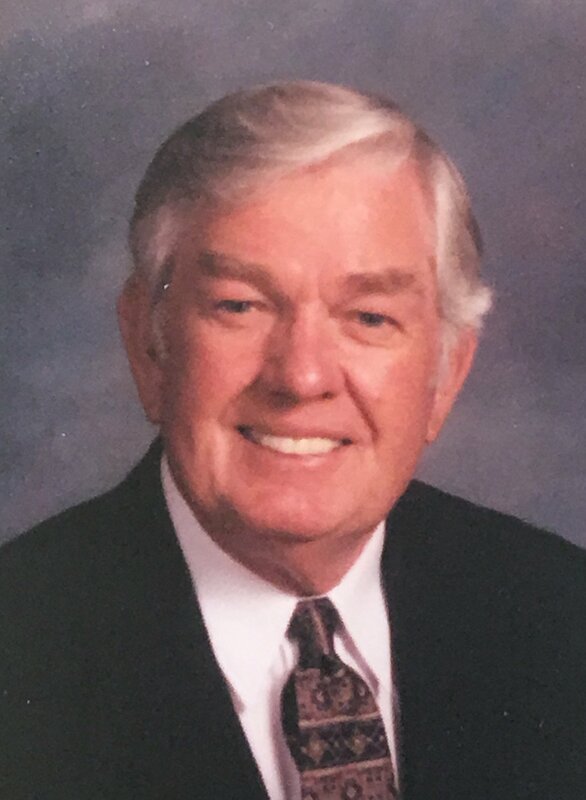 He was a founding member of DeSoto Hills Baptist Church, Carriage Hills Baptist Church in Southaven, as well as First Baptist Church in Southaven. He served in the Navy and retired at the Defense Industrial Plant Equipment Center after 28 years as a specifications writer. His life’s celebration will be at DeSoto Hills Baptist Church, 4680 Getwell Road, Southaven, MS on Friday, April 28, 2017 at 3 p.m. with interment to follow at Twin Oaks Memorial Gardens in Southaven. Visitation will be held before the service from 1 – 3 p.m. In lieu of flowers, donations may be made to the DeSoto Hills Baptist Church building fund.